John Kenneth Muir's Reflections on Cult Movies and Classic TV: Saturday Morning Cult-TV Blogging: Monster Squad (1976): "No Face"
In “No Face,” Walt and his monster friends are shocked when Chief Running Nose (Sid Haig) uses an old clause in a long-standing contract to buy the city for a mere twenty-four dollars. Although the Mayor (Edward Fleming) complains, No Face cannot be swayed. “The city is my reservation now,” Running Nose informs his new employee. His first order of business: disarming the police. Although all the persistent pidgeon English “Chief Running Nose” shtick is highly questionable, if not downright offensive to some, today, “No Face” is nonetheless a slightly better-than-average episode of Monster Squad (1976). This so largely because of Sid Haig, one of my favorite actors, and a man who can make the most ridiculous dialogue sound plausible, or -- as he does here -- even menacing. 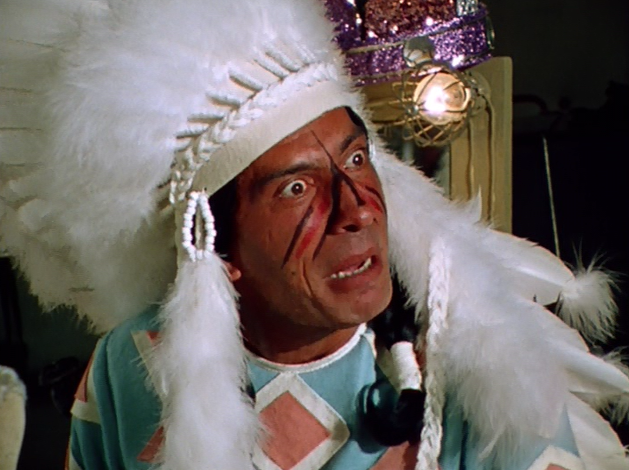 In short, there are some moments in the episode with Sid Haig as No Face in which he seems legitimately fearsome. Most villains on the series are not drawn in so effective fashion. If we look to the familiar formula that Monster Squad has established, one can see how “No Face” conforms. 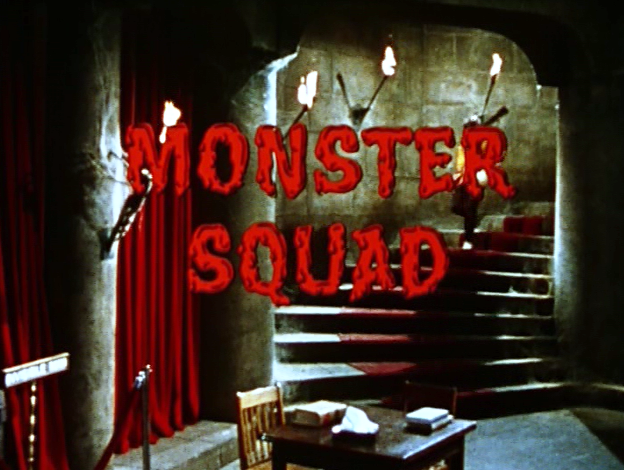 The Squad learns about the villain of the week on TV (as in ‘Music Man”), and heads off to defeat him. 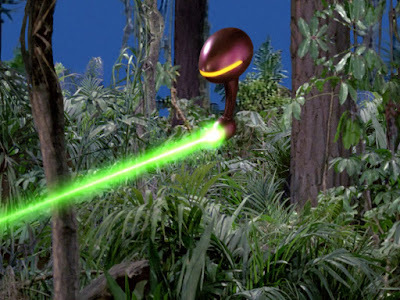 The cliffhanger threat at the villains’ headquarters (A movie studio) is a giant candle. 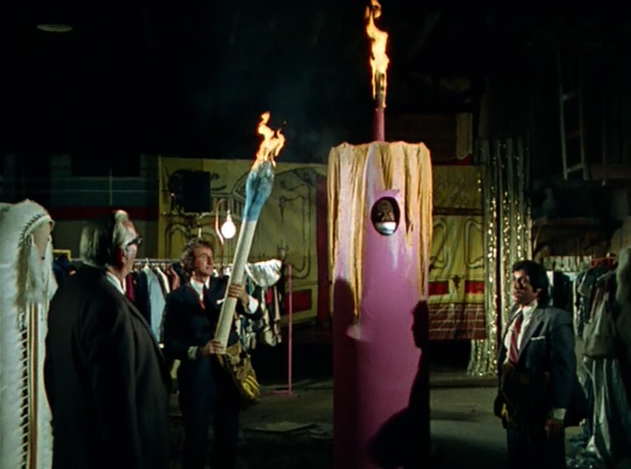 Specifically, the Wolf Man is put inside the giant wax tube, and it is actually lit! Finally, the villain is hoisted by his own petard, by bottles of his hair spray “Forever Hold” and make-up putty. 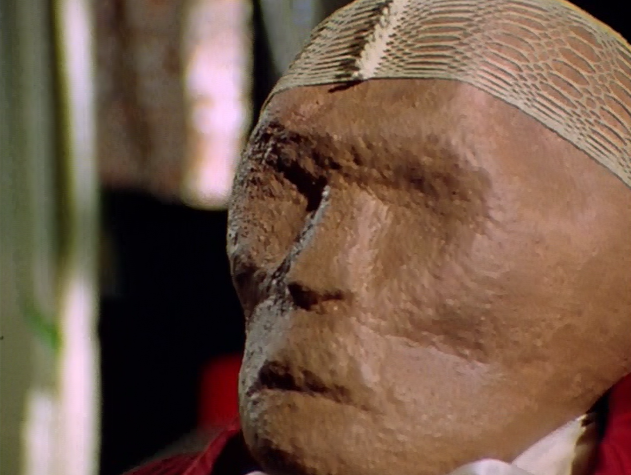 Finally, another crib from Batman (1966 – 1969): “No Face,” a make-up master with the ability to change his appearance, seems like a reflection of Malachi Throne’s villain on the Dozier series, False Face.